The name Carnival Triumph will be no more as the Carnival cruise ship is currently being transformed into the new Carnival Sunrise. The cruise line has announced Carnival Corporation Chairman Micky Arison and wife Madeleine’s daughter Kelly Arison as the godmother of the totally overhauled ship. 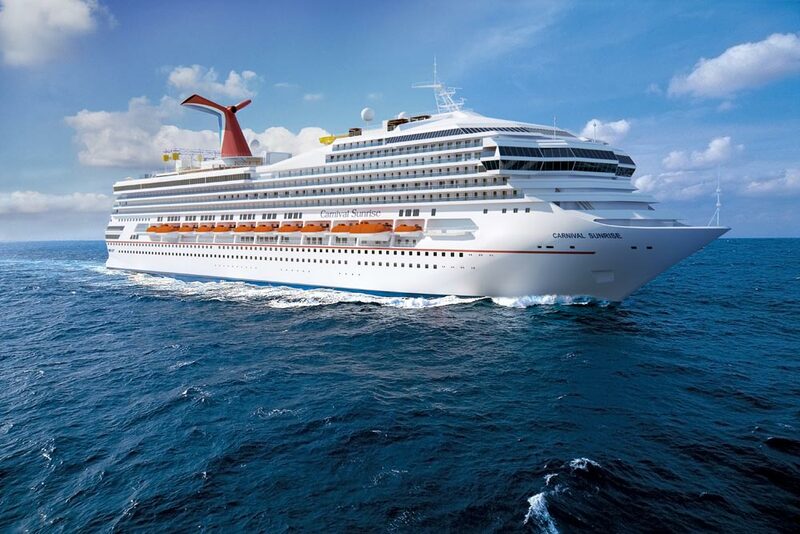 Kelly will become the center of Carnival Sunrise’s naming ceremony which will take place at the Manhattan Cruise Passenger Terminal in New York on May 23. The invitation-only event is set to serve as a platform for awareness of Ehlers-Danlos Society which Kelly Arison is a strong advocate of. The organization helps those with joint hypermobility and Carnival will be making a donation during the ceremony. Naming Kelly as the godmother comes as a tradition when it comes to this class of vessel. Her mother took the role for when Carnival Triumph was named in 1999 and grandmother Lin Arison served as godmother for Carnival Sunshine which is the sister ship and formerly known as Carnival Destiny. The newly transformed cruise ship will debut with cruises out of Norfolk, Virginia starting on April 29, 2019. The inaugural season will also include cruises from New York and the ship will sail a range of four-day to 14-day itineraries between the two homeports. In October 2019 Carnival Sunrise will be based out of Fort Lauderdale, Florida sailing to the Caribbean and Bahamas. She will then reposition back to New York in Spring 2020. Carnival Sunrise is 101,509 gross tons and the dry dock transformation is taking place in Cadiz, Spain. It hasn’t all gone smoothly at the shipyard and you can read more about that here.